When it comes to apartments, there often exists a lack of sufficient space. Problems tend to increase all the more, when people have accumulated a lot of furniture pieces for which there is no space left anymore. If you have young children who love to play, then you must be worried about the space constraint they have to unnecessarily suffer from. Furniture tends to consume a lot of space in rooms. 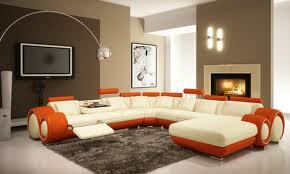 Many times, the space which can be utilized for other purposes is taken up by bulky beds and clumsy sofas. With these frequent problems of space consuming furniture, we present to you a range of furniture shopping ideas or assets that might help you to utilize all the limited space that you have in your apartment. Shelves – wonderfully attractive and colorful shelves come in the furniture market. You can enjoy buying these shelves for the kids’ rooms and/or for yourself and get rid of the bulky almirah that you have for document storage and other rubbish. Shelves are useful not only for office but also for home. They might look great in living rooms which have tall walls. Since shelves hang on walls, they consume less ground space and also tend to decorate walls. Side tables – usually long and huge center tables seize a lot of space. You can replace the big table with two side tables or a small coffee table. The side tables can also be used as things for storage since many of them have drawers. Coffee tables too look really good compared to bigger tables when there is less space. Drawers – like shelves, drawers too consume less space and store more. Slip in all the little materials that you occasionally use into drawers and you shall have a larger space available for pleasure. A long narrow chest of drawers looks amazing sometimes. You can put your television on top of it and also use it for storage purposes. Mirrors – since they hang on walls, they hardly take up any space. Nearly all furniture stores sell beautiful mirrors which you can use for decorating. Mirrors not only look stylish but also reflect and make the room look larger. Boxes – many furniture stores contain stylish boxes which can also be used as stools. Try purchasing these boxes. You can fit in extra, unrequited material inside and also use them as a furniture piece. 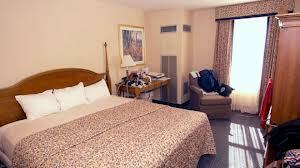 Beds – heavy and large beds are a complete no-no for people who have small apartments. Such people can look for light and carefully designed beds with storage space inside them. You can put in all your quilts and other materials of your store inside these beds. This shall help you get rid of the useless, bulky boxes kept in your store and consequently increase space. Convertible sofas – many people use convertible sofas today to increase their living space. If you have a single room, then purchase a convertible sofa which you can use for sitting and leisure during the day and as a bed for the night.